Hello! Lovely chocolate and mayo makers Plamil have a great offer on all 4 of their mayo flavours at the moment, including squeezy bottles! For the whole month on June (ends 30th) you can get 3 mayos for £6, you can mix and match the flavours. 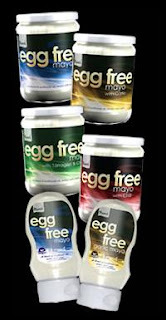 Just go here: http://www.plamilfoods.co.uk/offers/mayo-3-for-gbp6-offer?cPath= add the flavours you want to your basket and you can checkout! 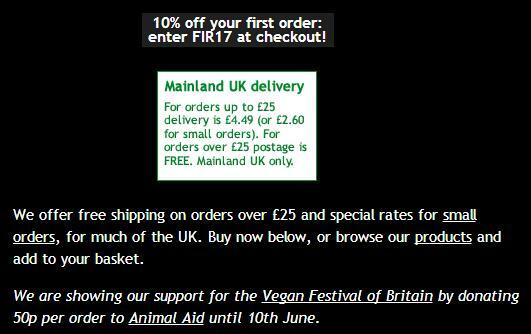 What's more, if you are a new customer, you can add the code 'FIR17' to your order when you checkout for a further 10% off. PLUS, during the Vegan Festival of Britain, Plamil are donating 50p per order to the wonderful Animal Aid until 10th June. Win win! Delivery is between £2.60-£4.49 for orders under £25.00, but free for any orders over £25.00. Considering all of their yummy products they sell, this may be a good time to stock up! Please be sure you're happy with the final price of your order.